Blog » SEO » How to Manually Perform a Technical Website SEO Audit? How to Manually Perform a Technical Website SEO Audit? If you are looking to improve your SEO, there’s no better way than to perform a website SEO audit. An SEO audit will help you understand the SEO problems your website is facing and how you can tackle those issues. In this post, we will use plenty of tools to understand our current website structure, SEO, content, speed, and some other important SEO ranking factors. Why Should Your Perform a Website SEO Audit? The answer is simple, to improve any website organic search traffic you should perform an SEO audit and find our errors and fix them. 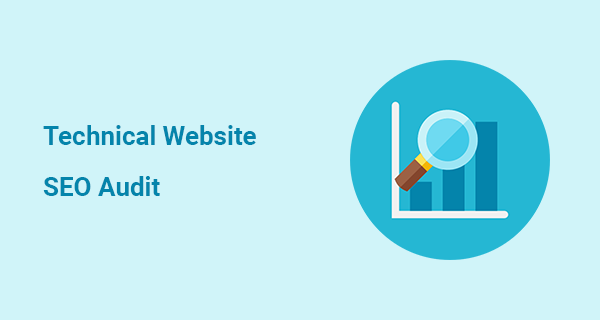 No matter, if you have small business website or a large corporate website, SEO audit will be helpful for any website which is trying to attract organic search traffic. By using Google Search Console you can find out crawl errors, mobile usability errors, structured data errors, and similar issues which impact SEO. I personally use this tool a lot because it provides exact data that a webmaster needs to improve SEO. However, you would have to learn a lot and use it for some time to have an understanding of the technical aspect of Google Search Console. Although, it is a tool to find out analytics data which sometimes indirectly help us find out where our visitors are coming, which pages they are browsing and a lot of other such useful information. It is not a tool by any chance to give you exact SEO errors but using this data you can find out errors and will able to fix them. Finding out your website how it appears on Google is a great way to know if your website is performing to its full potential. Doing searches like site:www.example.com and link:www.example.com will provide you information how many pages of a website are already indexed and how many backlinks a website is getting. It is a tool which will crawl your website pages and collect important SEO data such as meta tags, broken links, alt texts, duplicate content, and more. You can crawl up to 500 pages in a free version of Screaming Frog. If you have a bigger website or lots of big websites, then consider buying this tool. These are great tools for any website audit. However, the most important thing is which data you need to collect in order to understand the errors and how to fix them exactly. If you are using WordPress, then you must check out my latest WordPress SEO guide to understand technical aspects of SEO. How to Actually Perform a Technical Website SEO Audit? Googlebot crawl websites more which have a good logical website structure. It will also help your new content get indexed faster in search engines. Make sure that your website structure is using best SEO practices. If not, you can redesign your structure with the help of your web development team or if you have skills then you can do it yourself. You can find out 404 errors in Google Analytics and Google Search Console. Not all 404 errors need to be addressed and as some websites delete old posts/pages they show errors in Google Search Console. However keep an eye which pages are showing 404 errors, sometimes bad server response time and specific server errors could cause this issue. If you have implemented structured data, then make sure that it is performing to its full potential. If you encounter errors on Google Search Console structured data page, you need to address them. Some technical structured data errors can drop website ranking. Check out this article on WordPress SEO Structured data plugins. Check this page on your Google Search Console property to find out pages which are affected. Once you find out, it is much easier to fix them by writing improvised titles and descriptions. You can easily fix duplicate content issues by reading this article. It is an important factor to consider for better SEO. Faster websites have a higher chance of ranking in the search. You can use tools like Pagespeed Insights by Google and Pingdom Tool for page load speed. Find out top factors which are reducing your website. Reduce server requests, load of external resources, image size compression, and cache your website. You can use this image compression guide to optimize all the existing and upcoming images on your website. You can use a number of tools such as Ahrefs, Semrush, Google Search Console, and Google Search. Look for backlinks that are coming from low-quality or spam websites. When you find those links, you can easily remove negative backlinks using this tutorial. Also, you can find out competitors backlinks through a similar process to improve your link building strategy. If you are using WordPress, then you can use a broken link checker plugin from WordPress directory. It will help you find out broken internal links on your website. Fixing those links will give a boost to your organic ranking. Other than that, you can link other relevant blog posts together to build up a context. Make sure that all your internal links anchor text are descriptive. In Google Search Console, you can find this section of Search Analytics. Fixing these errors will help your website rank better for mobile searches. I had some difficulties fixing these errors but when I did, my mobile traffic almost increased as soon as those errors were fixed. I hope you find this post useful. You can also check out my quality SEO services if you want to boost your organic traffic.